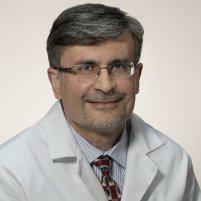 Dr. Memon performs colon cancer screenings in his offices located in the areas of Woodlands and Conroe in Texas. His many years of experience and personal approach ensure your cancer screening experience provides you with the answers you need. Colon cancer occurs when healthy cells in the colon develop errors in their DNA. When a cell's DNA is damaged and becomes cancerous, cells continue to divide — even when new cells aren't needed. As the cells continue to gather, they form a tumor. With time, the cancer cells can grow to invade and destroy normal tissue nearby and can possibly spread to other parts of the body. Should I have a colon cancer screening if I have no symptoms? Colorectal cancer is the third leading cause of cancer-related deaths in America for men. More and more cancers can be treated and cured when they are caught early on. Fortunately, most colorectal cancers are preventable with proper cancer screenings. Proper screenings are a crucial part of cancer prevention. Screenings ensure that early detection allows for the removal of precancerous polyps. Getting regular checkups and colon cancer screenings is the best way to find cancer early, making a cure more likely.